July-December 1841 to January-June 1891. 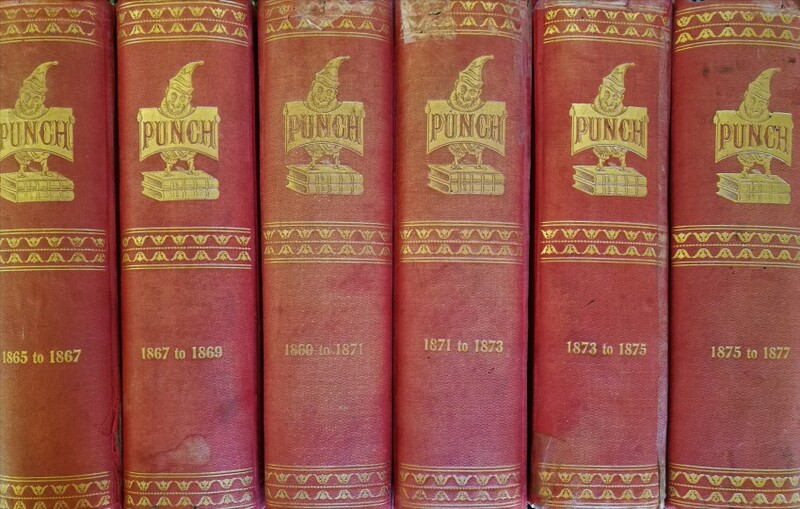 Two Punch volumes to a year, making 100 Punch volume, bound by the Punch Office into the 25 thick and heavy volumes of this lot. Complete, unmarked and undiscoloured. The page-edge gilding has dulled. 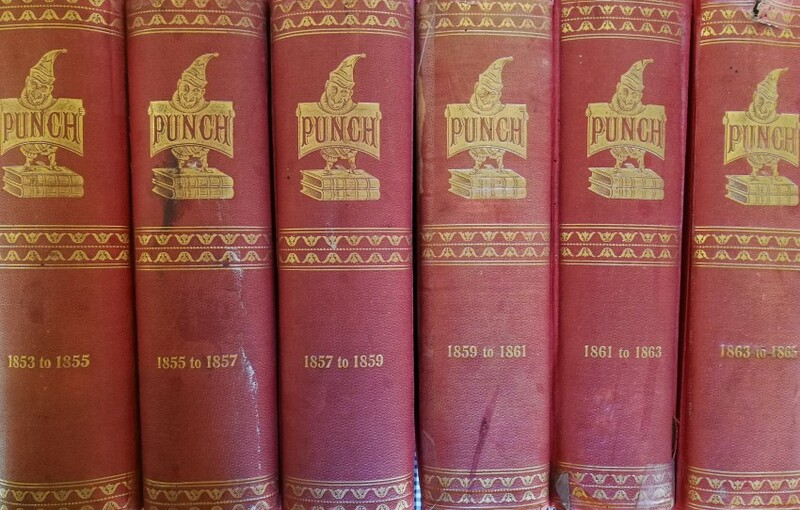 Some bindings have loosened slightly and some corners are bumped. But altogether a collectible set of a rare item. 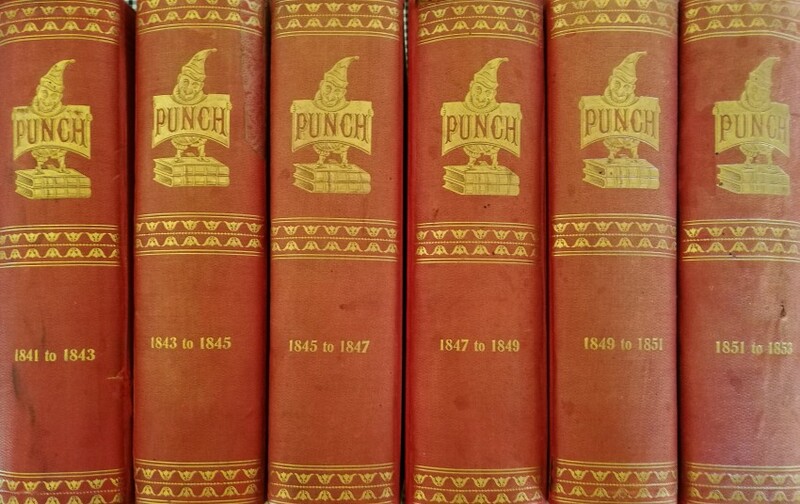 Full-bound in red cloth-boards, blind embossed design and lettering to the upper panel, gilt design and lettering to the spine, top page edge gilt, other edges speckled red, plain endpapers, altogether some 25,000 pages of text and illustrations. Preferred Payment Methods: Eft or, for overseas buyers, Visa or Mastercard credit cards.